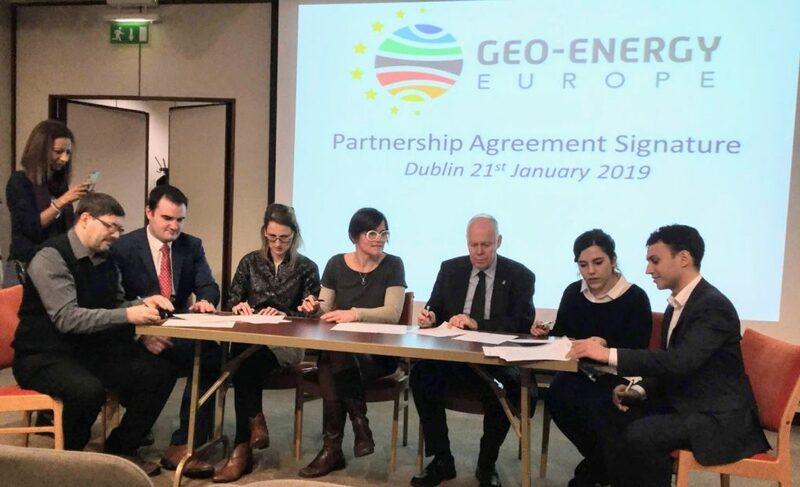 GEO-ENERGY EUROPE project consortium partners have signed a Partnership Agreement in Dublin last Monday, January 21, 2019 to formalize the creation of the GEO-ENERGY EUROPE metacluster and sustain its life beyond the end of the ongoing project timeframe (2018-2019). The GEO-ENERGY EUROPE project is coordinated by French competitiveness cluster POLE AVENIA and funded by the European Programme for the COmpetitiveness of Small and Medium-Sized Enterprises (COSME), under the “Clusters Go International” call for projects. It started in January 2018 and will run until end of 2019. As stated in the first article of the Partnership Agreement, “the GEO-ENERGY EUROPE metacluster is an open and voluntary alliance of complementary innovation cluster organizations or equivalent business network organizations from across Europe, involved in geoscience, geo-energy and/or geothermal energy that are committed to working together on a common vision.” That vision is to gather and brand most key players in the field of sustainable geo-energy in Europe under a common “GEO-ENERGY EUROPE” banner, and represent European know-how & technologies in this field in world markets, with a focus on the skills and services offered by its Small & Medium Enterprises (SMEs). All signing parties committed to base the metacluster activities on common values such as collaboration, innovation, technology advancement, sustainability, professionalism and agility in the metacluster operation and evolution. The Partnership Agreement entered into force on January 21, 2019. It was signed by POLE AVENIA & GEODEEP from France, the European Geothermal Energy Council (EGEC), based in Brussels but with members from 23 European countries, the Spanish GEOthermal PLATform (GEOPLAT), the Hungarian Cluster of Applied Earth Science (CAPES), the German regional cluster GeoEnergy Celle, and the Irish export-oriented Geoscience Ireland cluster. JESDER, the Geothermal Power Plant Investors Association of Turkey, which is the 8th partner of the COSME funded project, has chosen to stay out of the GEO-ENERGY EUROPE metacluster, with the agreement of the 7 other clusters, and instead become the privileged first end user of the skills and technologies that the metacluster represents. This new, and more appropriate, relationship will be officialized via a JESDER / GEO-ENERGY EUROPE Cooperation Agreement, currently under preparation. The GEO-ENERGY EUROPE metacluster is an open and long-term initiative. It is the will of the 7 founding partners to expand the metacluster and welcome on board all interested European geo-energy and/or geothermal energy organizations, as a larger metacluster will help develop a stronger, more integrated and more exportable European sustainable geo-energy sector. For the end users and targeted markets, the GEO-ENERGY EUROPE metacluster will be a one-stop-shop for European geo-energy skills and technologies, as well as geothermal development know-how and experience. It currently represents about 600 members from 23 European countries and across the whole geo-energy value chain, including 320 SMEs, over half of which are directly involved in the geothermal energy markets. The GEO-ENERGY EUROPE partners are currently working on a communication and dissemination strategy that will be implemented over the upcoming months, with a website and visible presence at geothermal events, among other actions. A market and opportunity report is also underway. 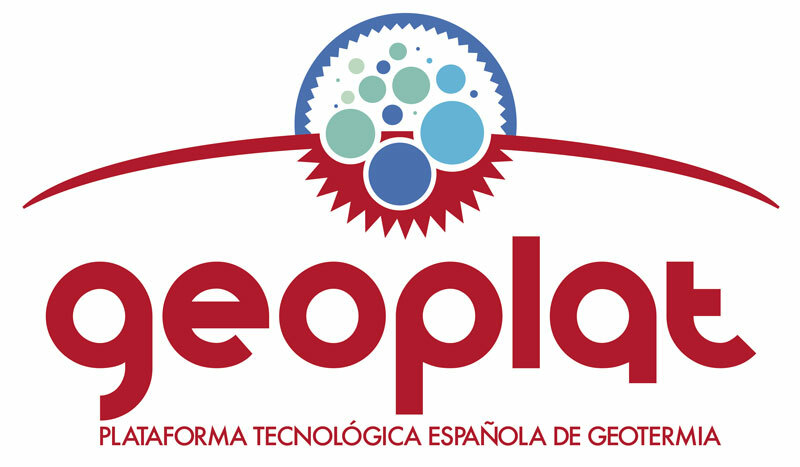 These works will be used as input data for the internationalization strategy and implementation road map, which are two of the main deliverables of the COSME funded GEO-ENERGY EUROPE project and will serve as backbones of the metacluster activities in the longer term. © GEOPLAT. All rights reserved.